People strapped for cash will often take desperate measures to raise money - and one of the least advisable is the Title Loan. And this is something you should never do. Ever. 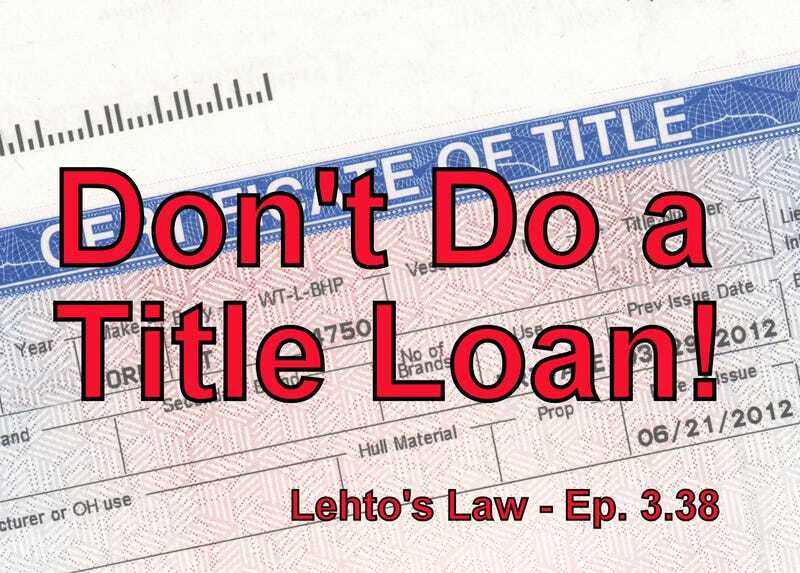 A title loan is where you pledge your paid-for car’s title against a loan. Sounds innocent enough, right? They are illegal in most of the country and for good reason. Most title lenders - especially the ones operating in the places where they are outlawed - charge outrageous interest and often just steal your car anyway. Even if you pay the loan as agreed. The weird part is that in Michigan, where they are illegal, very little is being done to stop the title lenders. So, they operate with relative impunity. A few states have cracked down on them and something like 16 states have legalized the practice, presumably so it could be regulated somewhat.